HelioScope may not always generate the expected energy yield for an array: because the yield of HelioScope is based on simulating the actual system design, if the array design is off, that can reduce the production of the array. This guide shows the most common design problems, the way they show up in the yield calculations, and the steps to diagnose and troubleshoot. Low String Voltage Clipping Loss - Under Voltage The string voltage needs to be within the inverter’s operating voltage in order to produce power. Ensure that the string Vmp at STC is within the inverter’s range, and ideally 10-15% larger than the inverter’s minimum voltage. While the string voltages are shown for STC values, the voltage will change with the array’s temperature, and temperatures hotter than 25ºC / 77ºF will reduce the voltage. 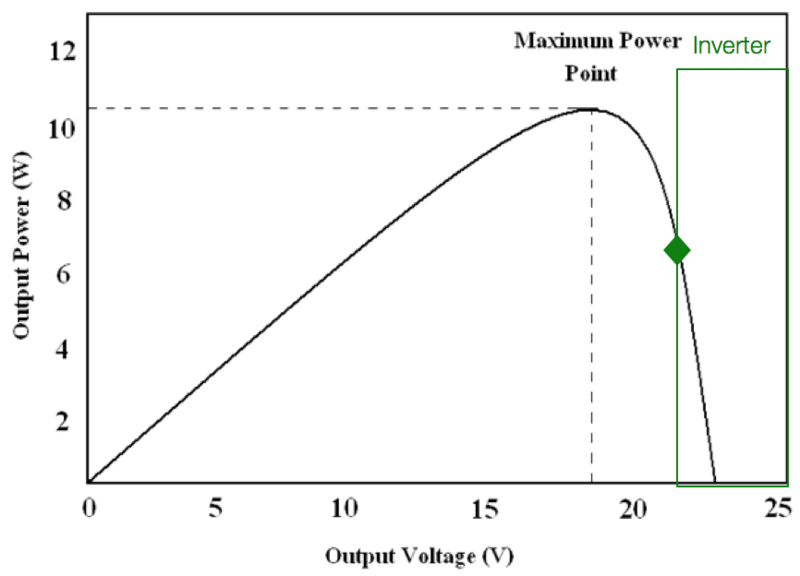 This is why the string Vmp (651.6V in the example above) should ideally be at least 10% larger than the inverter’s minimum voltage (430V in the example above). Clipping Loss - Over Power The total module rated power (also known as “DC power”) and inverter rated power (also known as “AC power”) should be roughly similar, typically with the DC power 10% to 20% larger than the AC power. Ensure the DC/AC ratio is in a normal range, typically 1.00 to 1.25. Mismatch Loss When modules in HelioScope are oriented as fixed-tilt, the Row Spacing value is the front-to-back distance between rows. If row spacing is set to 0 for a fixed-tilt design, the modules will shade each other for much of the year. If the modules are flush-mounted to a roof, change the racking type to flush-mount.